Take home a couch and TV stand. 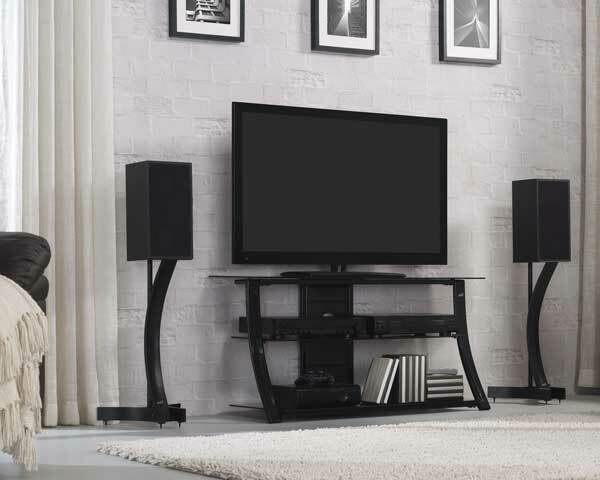 Pair your new TV with a contemporary black TV stand. This 44" TV stand is designed to hold most flat screen TVs up to 46" or up to 125 lbs. Hide and organize wires with the CMS Cable Management System. Visit your local Triad Leasing store today to shop a wide selection of TV stands. Ask about new and pre-leased package deals on living room furniture, couch and TV stand, coffee tables and more.